If you or someone you love has been injured in a medical mishap, there is no more important task than finding a qualified medical malpractice lawyer to represent your interests in the court of law. We understand what an emotionally-charged, confusing and difficult time it is for your family. Hiring an experienced, knowledgeable medical malpractice attorney gives you comfort and peace of mind that your complaint will receive the attention it rightfully deserves. If a serious medical error was committed, the best lawyers will ensure that justice is served and appropriate compensation is rendered to victims and their families. Every medical injury is not the result of a medical mistake. However, every case of serious injury is worthy of investigation to see if proper care was given before, during and after a person’s treatment. There are set standards of care put in place for every medical diagnosis, treatment and surgery, which need to be followed to the letter. Otherwise, patients are entitled to filing a lawsuit against those responsible for their care. Economic damages: Past and future medical expenses, lost income or wages, loss of future earning potential and the cost of ongoing rehabilitation / therapy may all be covered if a medical malpractice case is won or settled. Sometimes the cost of replacement services – help with household chores or child care – is also compensated if the person responsible for these tasks has been gravely injured. Modification to the plaintiff’s home to add wheelchair ramps, bathroom grab bars, or other disability-related renovations are also considered economic damages. Non-economic damages: While it may seem difficult to imagine, the court does its best to put a price tag on your emotional pain, suffering, humiliation, hardship and spousal loss of consortium. Multi-million-dollar verdicts usually include these type of intangible reparations. Some states have caps to how much a person may recover for non-economic damages, which may range from several hundred thousand to millions of dollars. Punitive damages: In rare medical malpractice lawsuits, it may be necessary to punish a grossly negligent defendant. Judges – rather than juries — generally dole out this type of punishment. Statutory caps will likely apply, but this type of compensation is designed to send a strong message and deter future wrongdoing. Generally speaking, hospitals, doctors and surgeons are very distinguished and well-respected members of our communities. It can be a daunting task to go up against intelligent and highly regarded defendants. Plaintiffs must arrive with a well-prepared case to win. Prepare the case: Extensive preparations will be taken to conduct discovery, find out the precisely recorded facts of the case, assemble supporting documents, prepare expert witnesses and build a strong case. Experienced lawyers have an in-depth understanding of the law and knowledge of past verdicts which may be similar, so they know the right angle to use in the formal complaint. Fight entrenched interests: Corporations that insure hospitals and medical professionals spare no expense in hiring the best legal counsel money can buy. Individuals may have difficulty coming up with the resources to mount a strong offense. That’s why a good attorney only accepts cases on a contingency basis – meaning that they only get paid from successful verdicts or settlements. Negotiate pre-trial settlements: Sometimes appropriate terms and amounts may be decided in advance. Hospitals and doctors often settle quietly to avoid lengthy, costly and embarrassing public trials. The settlement offer will be thoroughly read and all details will be explained to plaintiffs before any deal is accepted. It can help to have someone who understands the legalese and jargon these offers sometimes contain. Try the case before a judge and jury: If a settlement is not reached, medical malpractice attorneys will be prepared to argue on your behalf before a judge and jury. This takes a considerable burden off the plaintiff. A convincing, compelling lawyer can establish proof, provide supporting evidence and convince a jury that medical mistakes were made. It can be difficult finding the right medical malpractice lawyer to represent your case. Background: How long have the attorneys tried medical malpractice cases? How many malpractice cases do they handle each year? Do they have medical expert witnesses on staff? Does the firm practice any other types of law? Are they members of a professional legal association? Knowledge: What are the perceived complexities in your case? How might state laws affect the case? What is the suggested strategy for handling this case? Would it be sensible to accept a settlement offer or push for a trial? Expense: Are there any upfront retainer fees? 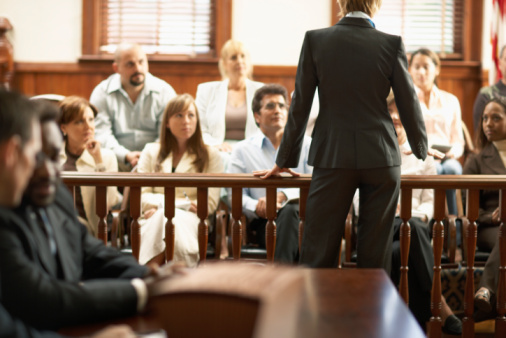 Are there different costs for settlements versus jury awards? Are clients charged an hourly rate or a percentage of the settlement/award? What is the ballpark figure on the costs that may be associated with this case? Trust: Ask yourself: Is this person sympathetic? Does this medical malpractice attorney make you feel comfortable? Does the lawyer make good eye contact and have a firm handshake? Does the office look professional? Can you rely on this person’s judgment? Are your questions answered courteously and your fears assuaged? Eisbrouch Marsh has successfully tried numerous medical malpractice cases, major pharmaceutical companies and product liability claims. With more than four decades of experience, our medical malpractice attorneys understand the emotional, physical and economic toll families face as the result of a doctor or hospital’s errors. Our attorneys are members of the American Bar Association, American Association of Justice, and Association of Trial Attorneys of America. We rely upon a dedicated team of doctors, nurses and medical professionals who provide reliable legal testimony that help win complex cases. For a free and confidential consultation, please call our offices today. There are no upfront fees to speak with an experienced legal professional. Our attorneys only get paid when you win!